Attention all Greater Toronto and Area fans! 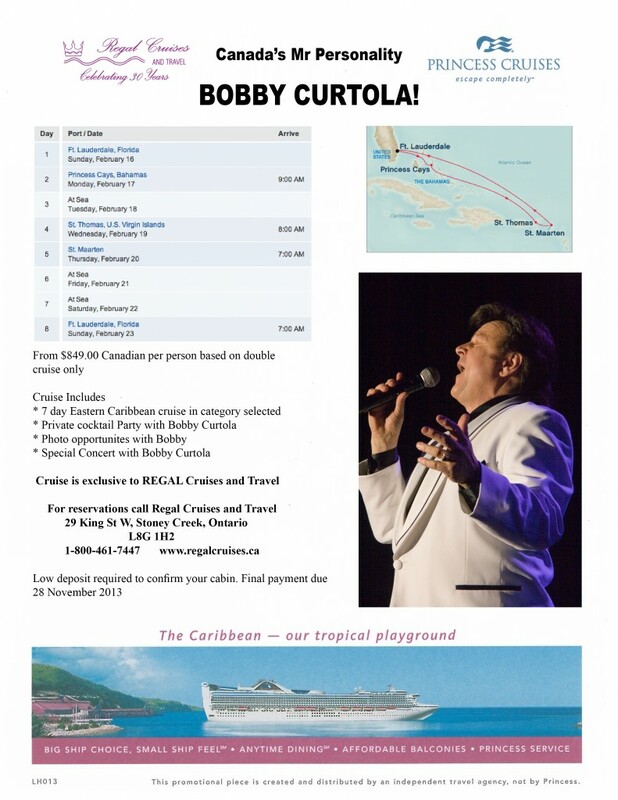 Bobby has just announced a special appearance for one night only on his way to his concert in Parry Sound August 15th. on Princess Cruises through Regal Cruises and Travel. August 12th – Doors at 4pm, Signing 530-630.